“I’ve been on a search for a comfortable home for my dog & I. Nolan is a blessing, and has found so many options for me. He definitely finds something that accommodates your needs, and is very consistent. He found us a perfect home that my dog loves too! I stuck with my dog for three years, and so many people discouraged me. They advised me to let him go. Nolan is an angel, and found an actual home for us. I could not be more grateful. It is in such a beautiful area. 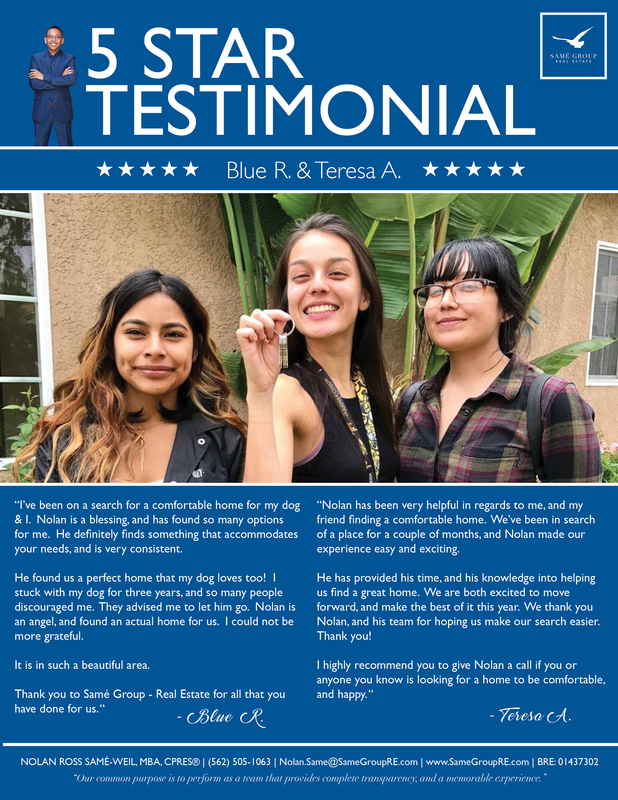 “Nolan has been very helpful in regards to me, and my friend finding a comfortable home. We’ve been in search of a place for a couple of months, and Nolan made our experience easy and exciting. He has provided his time, and his knowledge into helping us find a great home. We are both excited to move forward, and make the best of it this year. We thank you Nolan, and his team for hoping us make our search easier. Thank you!